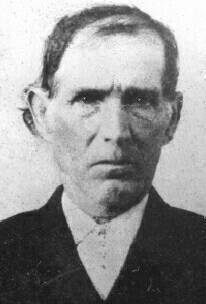 Enoch Marsh McGinnis (8), the third son of David Allen McGinnis, was born in Mole Hill, WV on November 18, 1857. 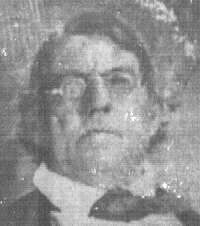 He walked his sisters to boarding school in Gilman County and was the first to notice that one of his sisters was becoming seriously ill. Les Lovejoy King remembers her Grandfather Enoch's scratchy handlebar mustache. Whenever he would kiss her, he would tuck his ever-present toothpick inside his mouth first. He must have been nearly six feet tall. Like his grandfather Edmund McGinnis, he was a merchant as a young man and continued to be very conscious of money, something he never had much of. Cousin Herbert claims both he and Enoch were once socialists. Enoch would cover scraps of paper with notes about prices, dates, names and quantities. The 1880 WV Census lists him as a peddler, but he also had a store where he sold sewing machines, among other things. Some of these ledgers are in the possession of C. David McGinnis. With his wife Addie Sylvania Lawson and children, Enoch moved to Texas to become a farmer more than one hundred years ago, spending the night in Silver Run, WV with his brother Parmenas M. McGinnis before the family took the train to Texas. 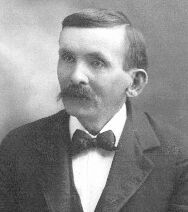 Enoch first went to Austin, where his parents-in-law were living, but by August 1895 he had settled in Ft. Bend County, dealing in sewing machines again. A 1901 letter is addressed to "E.M. McGinnis, sewing machine agent" at Brookshire, Texas. The first letters from West Virginia were addressed to Clodine, Texas (which has an exit off IH-10 in western Houston), then Gaston, Texas (after 1900), then Katy (after about 1920). He describe the Gaston property in 1931 as "160 acres 26 miles from Houston. ½ mile west of Gaston to the first road that turns north and leaves railroad. 3 miles from railroad, 2001 yards from County Road." Enoch is recorded as buying land in Texas in 1897, probably Gaston, and his homestead is now part of the Cinco Ranch development west of Houston. 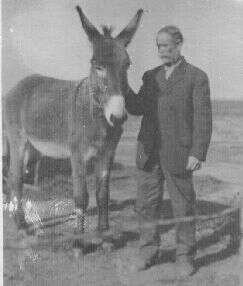 On his farm, Enoch raised cattle, hogs and chickens, working his land with mules. When visiting, his grandchildren could ride Barney, an old nag, but stayed away from his big Brahma bull. He made little money but to feed his family, instead of modern commercial monocrop farming, he grew a variety of crops, including cabbage. One year he planted Satsuma oranges "which were wonderful and produced abundantly until a big freeze wipe him out." Then he began truck farming for market -- except that he took the produce to the city in a wagon, not a truck, before he modernized. According to Cousin Les, the first time Enoch drove a truck, he didn't know how to stop it, so he cried "Whoa!" That didn't work and he went through a gate. Often Enoch had tenant farmers on his land, and when looking for some in 1930 to "farm on halves," he wrote about the fields,"You can plow all day and not hit rock." But it was hard to find good help. In 1914, Enoch was sleeping outdoors and someone, possibly an hired hand, hit him on the bridge of the nose with a club or a pipe. His daughter Kittie took him to the hospital, but his nose never healed properly and ever after his face was sunken between his nose and his forehead. His sister Clara wrote back to him, "I think those boys surely gave you something to make you sleep. Was the boys mad at you. I hope you will be all right again and I would be careful who I hired to work for me." Enoch's own business letters are refreshingly straightforward; for example, "Katy, Texas, June 1, 25. Dear Sir, I have your card acknowledging rec't of my order for Sweet potato Plants. You say they will be shipped in season. What you mean by this I do not know. I ordered these plants to come some days since. I live six miles from Post Office and cannot be running all the time to see if they are there. I want them in the ground, so they will vine for planting. Please let me know by return mail when I shall get them, and state if they will come by Parcels Post, or Express. If you cannot send them soon, I will have to order them where I can get them, and let you return my order. Truly yours, E.M. McGinnis." Enoch knew the Methodist Church well, from the days of frontier revivals to the modernist influences of the '20's. Tradition says he sometimes preached at the Methodist church in Katy, marking his texts in the Bible with one long thread. Listeners could tell how long he had spoken by how much thread was showing. But Les King doesn't remember seeing him in church at all. His sister Clarinda (sometimes nicknamed India), whom he comforted by mail during her last years of sickness, remembered he used to sing, "When I am happy in Him, December is as pleasant as May." His sister Melcena responded to a 1919 letter from Gaston, "There seemed a holy fragrance about these letters that surpasses any letters I ever got from you two." Enoch wrote to his sister Mary Ann Lambert in 1932 about some church meetings he had recently attended. She replied that he had reminded her of meetings she knew as a child, probably in the late 1860's. "I remember Jane Bradford was a mourner at the same time I was. She was blessed first. When I learned that she was converted, I made a resolution that I would do anything that would help me." But Enoch's siblings were also concerned for him. He seems to have inherited some of his first Irish immigrant ancestors' tendencies toward litigation, at least until middle age. When Melcena had finished writing about their father's death in 1896, she continued, "Enoch, I wish you could know my anxiety for the salvation of your soul. In plain words I am sorry that you have been connected with so many law suits. I must speak plain to you - I do not think you intend to displease God, yet I cannot think God is pleased when his children are in lawsuits. Try to bear with your neighbors more in the future. When they 'strike you on the one side turn the other also.' In Jesus name I ask this." Even after moving to Texas, Enoch maintained conflicts with people back in West Virginia, though a later letter rejoices that he was reconciled with his brother Parmenas. Enoch did not share his wife's perfect teeth. In 1922, Enoch's younger sister Melcena Grimm wrote, "Now Enoch it is just too ridiculous for you to keep putting off having your teeth attended to... No wonder you feel bad if your teeth are rotting out. Take just five minutes and ask God to show you how foolish it is even from a money standpoint to take such an awful risk. When you are crippled up with rheumatism do not blame God. Now shame on you. You go today to a dentist... Say Enoch, go today even if it takes a whole mule to pay for it." Perhaps he did, but the trouble persisted. In January 1933, a dentist drained a huge abscess in his jaw. By November he was writing to his son again about the dentist. 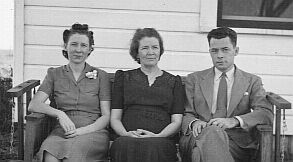 In 1932 and in 1933, aged 75, Enoch was staying with his son Rex Oral McGinnis in Freeport while Addie remained in Katy. Reported Rex to his mother, "He seems more unreasonable at night... He asked me the other day to take him out in the country to find a place without any children on a farm where he could make a deal to farm." Enoch wrote to Margaret, the widow of his brother Asbury, in 1933, "Cold feet makes me forgetful and suffer much." He died in 1936 in a nursing home in Houston. His children were Rex, Delsie and Kittie. Rex had one son, C. David McGinnis, beside his adopted daughter Maureen. Kittie was childless. Delsie (Lovejoy) had three children, of whom Les King of Houston survives. Addie Sylvania Lawson (9), the wife of E.M. McGinnis and the mother of Rex Oral McGinnis, was perhaps a little sentimental. She saved many of the letters she received, noting that one was the first letter her son Rex wrote after he turned 21. 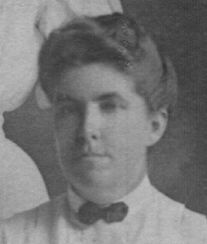 Her real name was Adalaid, and in the early 1880's, before she was married, letters came to "Ada Lawson [or Adda]," at White Oak or Tollgate, WV. Some of her relatives then were still Seventh Day Baptists, a denomination that is long gone in Ritchie County. Her cousin Rev. M.D. 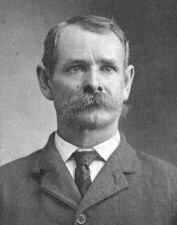 Pritchard wrote in 1883, "Addie, I hope that you have become a Christian ere this, if not I would say to you to seek the pearl of great price." A former teacher began one letter in the 1880's, "Dear Adda, are you a Christian?" But her cousin Nannie Lawson, a schoolteacher, wrote gossipy letters about young men. Les Lovejoy King remembers Addie as "sort of stout and squatty and always smelled of sweat when she kissed you." Addie had excellent, brown teeth. Like many women of her time, she sometimes enclosed pieces of her dresses with her letters, presumably to give her family and friends an idea of what the dresses looked like. She sewed heavily and reliably. Her daughter Kittie's college letters in 1907-1908 were full of requests for clothes, specifying particular features and fabrics, unlike Kittie's apologetic requests to her father for school money in those same letters. In 1907 she wrote to her son Rex in Houston from 1508 E. 14th Street in Austin (probably visiting her parents Elmina and Salathiel Lawson), "Let me hear from you. Hope you are not all washed away." Addie and E.M. McGinnis were some of the first residents of Katy, living six miles to the south. The town was plotted in 1895, a post office established the next year, and the first rice planted the year after. Seventy years before they arrived, the Karankawa Indians were still hunting buffalo there. Katy's 5th Street was once part of the San Felipe Road to Stephen F. Austin's colony in the 1830's. Formerly the Cane Island stagecoach stop, Katy got its name from the Katy railroad line. Its population in 1950 was 849. The two story "old home place" was never painted within Les King's memory. The west end of the porch was covered with honeysuckle or morning glory vines, and filled with bumblebees. The other side of the house was planted in four o'clocks. Bois d'arc trees served as a windbreak. Enoch had a typewriter in his little office, and Addie had a pump organ in the parlor which she played. For the children, she would sing a song beginning "One day an old kitty cat climbed up in a tree" to catch a bird. But the bird convinced the cat that she needed to wash before eating, so took the opportunity to flee. The house was lit with kerosene and there was no running water or indoor plumbing. They didn't even have an icebox until the Lovejoys took one there. Before the grandchildren went to bed, they had an evening meal of cold leftovers. Addie made butter, and her own laundry and dish soap. The family used store-bought soap for bathing. The kitchen of this house was later moved to Seven Oaks in Katy. 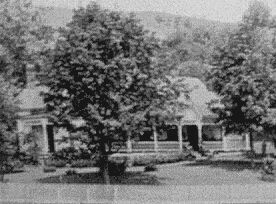 In 1913, Addie was in St. Mary's WV being treated by Enoch's sister and brother in law Melcena and Dr. Grimm. Les King remembers a family trip with Addie about 1919 to visit relatives in Austin, riding in the Lovejoy's Model T Ford. 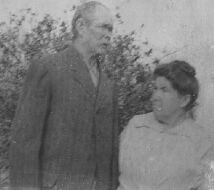 In 1934 Addie visited her sister Mord in Moses, NM as part of her son's family trip out west. Near the end of her life, Addie moved in with her son Rex and grandchildren Maureen and C.D. McGinnis. But as she got older, she suffered from senile delusions and finally died in a Houston nursing home in 1944. She and Enoch, as well as their children Rex and Kittie, are buried in the Katy cemetery on Franz Road. Delsie Vertie McGinnis was born in Mole Hill WV in 1888. She came to Texas with her parents E.M. and Addie McGinnis as a small child. She tended to be moodier than her brother and sister. At nineteen, she married Robert Emmett Lovejoy, a veteran of the Spanish-American War. He was born on the family farm in Coryell County, Texas, west of Waco, but his parents came from Alabama. With his brother-in-law Rex McGinnis, he printed up stationery for "Rex Electric Company: Armatures a Specialty." R.E. and Delsie Lovejoy lived in Houston and were divorced in the 1930's. Their children were Rex Emmett Lovejoy, Lesta Delsie King, and Donna Ruth Henderson. In the 1950's Delsie married George Sparks Herron, a World War I veteran. George had adult daughters from a previous marriage. Before George proposed to Delsie, he visited Rex McGinnis in Katy to show him the engagement ring. 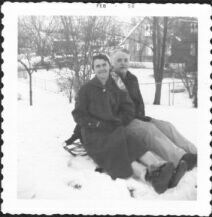 After Rex's death in 1960 and Delsie's death in 1962, George was married to Ruth O'Bryan McGinnis until his own death in 1968.Ruth's grandchildren affectionately called him Grandpa George. 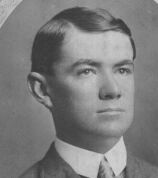 Delsie's son Rex Emmett Lovejoy, named after his uncle Rex McGinnis, became a rocket scientist and ham radio pioneer. Donna Ruth Lovejoy married Arnold Henderson, who worked with the Border Patrol, and raised three daughters in Minnesota. Their sister Lesta Delsie King became a middle school science teacher. Though the Lovejoys were Methodist, as an adult Lesta joined the Episopal Church, like her aunt Ruth O'Bryan McGinnis.